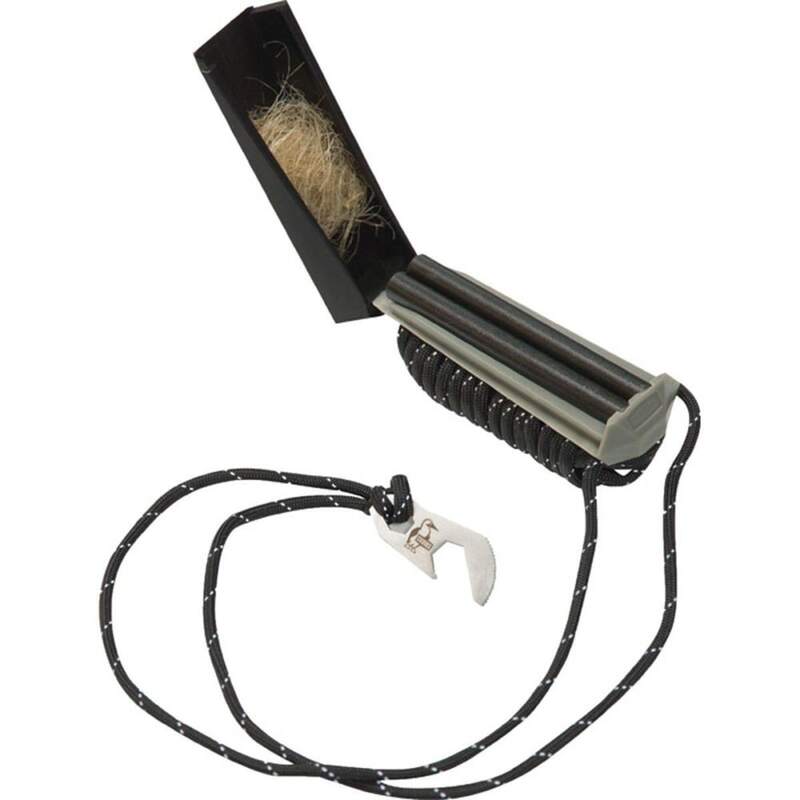 Quickly start a fire up at camp with this convenient and compact combination. Once it’s open, use the double-barrel firestone to get a spark for the tinder. After you’ve got a flame, close it to keep the rest of the tinder dry.